Review: USA Sishu has a lot of negative feedback in our reviews group. The main criticism is that USAsishu does not clearly state the type of teachers that they are looking for. Many teachers have complained about a link to the processes of the interview and how it is simply a waste of time. Others have complained as well about issues with the management that seems to keep changing policies without notice. Just be careful if you decide to try to get a job with this company. Native Speaker from an English speaking country, North American is preferred. Teaching certificate: state certifications, TESOL, etc. ESL teaching experience, being in public education is preferred. Good appearance, strong affinity, outgoing personality. Love kids, always showing respect for teaching and parents. Have a stable environment for teaching: computer, internet connection, and a noise-canceling headset. Teaching commitment during peak time: 6pm– 9pm for weekdays, 9am to 9pm for weekends (Beijing time). Minimum hours required are 4 weekdays and 1 weekend day. Hourly rate $15-18 per hour according to your experience and trial lecture. Start salary of $15-18 per hour. Weekly attendance bonus, special monthly, and performance-based bonuses. Please prepare a 1-min self- introduction video before the formal interview. You will have 2 rounds of interviews to check the teaching background or rate the teachers. After passing the interviews, you will receive training for the whole procedure required to have class in USAsishu. After collecting all your entry materials, we will arrange your regular classes in two weeks based on your available hours. You will have 2 months probation time, you are supposed to offer good teaching quality and have a positive cooperation with Service Department. All your work will be recorded in your annual performance chart which is connected to your contract renewal. We have several professional HRs for foreign teachers to solve the problems and they are open to your advice and suggestion. Every one or two seasons, we will send the teaching documents to teachers or hold a meeting about the new products and teaching methods. USAsishu, founded in 2015 in Shanghai, has served over 20,000 kids with 500 ESL teachers. They offer a unique teaching model for the Chinese family to mimic the schedule of an American primary school. Take “Wonders-Reading/Writing Workshop” as their mainline teaching product. Short-term products such as phonics, grammar, oral or differentiated reading courses. 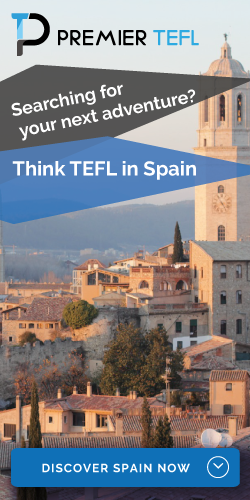 All courses are designed based on the CCSS, using CLIL and Scaffolding Instruction to make sure they have the greatest teaching effect and correspondence with the mainline course. To meet the needs of different kinds of parents, there are several class sizes. 1-on-1 is tailor to kid’s ability; Teacher & 2 students is a peer class for kids to compete; Teacher & 3 or 4 students is a mini-class which can have more student-student interaction. I have been working for Usasishu for over a year now. I have had nothing but good experiences. The foreign teacher supervisor, is a great leader who is always willing to help. I don’t want to sound kissassy (excuse my language). It is just my honest opinion. The salary is enough, and if you work responsibly, you can expect a raise…..
And about the CTs (Chinese Teachers) and SAs (Student advisers), I think they are very hardworking and have tried their best to help us. The bottom line is… It is a company that was founded in 2015, we must expect a couple of flaws and cooperate to help the company grow so that we can grow. Moreover, there are hundreds of online teaching companies that pay half of what you make in Usasishu or even a third. Give this one a wide berth. Your main source of info is gonna be someone called “Dora Explorer”, “Teacher menager”. A woman that will understand 50% of your English, 30% of the time. A complete lobotomite. Absolutely no professionalism, and im not talking about her “name”. She will leave out crucial information about the job, such as things from the contract and your obligations, only for her to then ignore you for days when you ask her about them. I wasted one moth of my time, passing all their interviews and tests, only to then not get information without which I cant start working. The materials they provide are horrendous, short and boring, even by a 5yo’s standards, and you are supposed to conduct 60 min classes on 5-10 pdf slides, with a lot of them having a single 2cm pic and a word under them. The cancelation policy is ridiculous. The salary wont be as they advertise it, etc. It would take too long to name all the bad practices this company has. I saw the negative reviews on other sites and thought maybe they were exaggerating. Turns out, they were not. I paid for that knowledge with a month of my time. I hope my experience saves someone the time that I lost, so it wouldnt have been all for nothing. My advice, stay clear of this one.